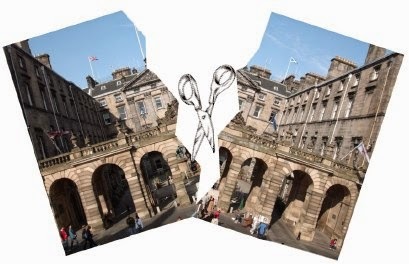 Trade Unions including UNISON, community groups and anti-cuts organisations are gearing up for twin demonstrations in Edinburgh and Glasgow on October 29 against another ‘savage’ round of council cuts. The Edinburgh lobby will be from 08.45 to 09.45 on Thursday 29 October at the City Chambers, High Street, Edinburgh. The Glasgow lobby will be from 12 noon on Thursday 29th October at the City Chambers, George Square, Glasgow. In Edinburgh, where the council’s income has dropped by almost 20 per cent in real terms since 2010, workers face another slashing of £140m with over 2,000 jobs to go. Unions are calling on the council to declare a “no more cuts” budget. Glasgow faces cuts of £103 million and 3,000 jobs over two years. This follows cuts of £250m and 4,000 jobs lost since 2010, hitting learning disability and mental health services, home care, supported education for children, community work, cleaning, library services and voluntary organisations. UNISON Edinburgh branch president John Stevenson said: “Some telling figures expose the human effect of these savage cuts. Edinburgh has around 18,000 employees. Most of them — about 10,000 workers — require protection of vulnerable groups (PVG) clearance to do their jobs. That’s how many provide direct services to children and vulnerable adults. It doesn’t take a genius to spot that those services are at risk. “The council is being asked to make two years cuts in six months. This could bring unnecessary compulsory redundancies and UNISON will urge its members to take action if that is the case. “Glasgow City Council politicians have a choice – make the Tory cuts or do not. We call on all elected politicians in the city to use all available financial mechanisms to hold-off any further cuts whilst leading a fight to win more money for the city. UNISON is Scotland’s largest union. It is the public services union and is the largest union in local government in Scotland.